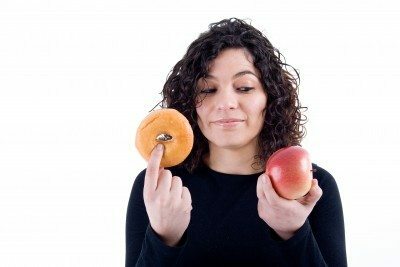 Good carbs vs bad carbs | What's the difference? Carbohydrates are an important source of energy for most of us. Many nutrition experts recommend that we get 60% of our daily energy from carbohydrates. But carbohydrates are not all the same. Some raise blood sugar levels very rapidly which is sometimes followed by a decline in blood sugar levels below normal. These carbohydrates have a high glycemic index (GI). Other carbohydrates do raise blood sugar levels less and more slowly, these carbohydrates have a low GI. Some experts have termed carbohydrates that raise blood sugar levels rapidly as “bad carbs”. The rapid rise in blood sugar causes excessive insulin production which may result in increased body fat. These carbohydrates are therefore more likely to cause obesity. Conversely, carbohydrates that raise blood sugar less and more slowly are termed good carbs. But, how do we know the difference between good carbs vs bad carbs? It is not only the type of carbohydrate that determines GI. The cooking process, as well as the presence of fat and dietary fiber, may affect GI. For example, baked potatoes have much higher GI than cooked potatoes. Ice cream actually has a relatively low GI because its fat slows sugar absorption. Whole grain products usually have a low GI because of the high amount of dietary fiber. Usually, food with a low GI is considered to be more healthy than food with high GI. Diets that emphasize low-GI-foods decrease the risk of developing type 2 diabetes and improve blood sugar control in those already afflicted. Diet with low GI is associated with higher level of HDL-cholesterol (the good cholesterol) and with reduced incidence of heart attack. Studies also indicate that the effectiveness of low-fat, high carbohydrate diets for weight loss can be improved by reducing GI. Therefore, try to eat good carbs rather than bad carbs. This is even more important if you have diabetes. Choose cucumbers, apples, oranges, and carrots rather than potatoes, white bread, and donuts. Since baked potatoes are cooked potatoes, I suppose cooked potatoes refer to boiled potatoes? Is the lower glycemic index due to loss of starch in the water? I’ve been reading your blog and I appreciate all the work you are doing to educate. It’s refreshing to find a doctor who is flexible. You describe 3 diets in your diet section which aren’t low fat, high carb, eat less, move more, calories in/out philosophy which is the most promoted by doctors here in the USA. My daughter’s doctor told her she needed to do either Weight Watchers or South Beach to lose weight because nothing else works. So not true! I told my doctor I follow Paleo and she’d never heard of it. She did say she thought ditching grains was okay which was a pleasant surprise. I am aiming at improving these pages further with infomation on more diets. I hope I will find time to do it soon. You are right, boiled potatoes would be the right term to use here (I will have to change it on my page), to differentiate from baked potatoes. Many different factors can affect the GI scores of potatoes. Where potatoes are grown, what kind they are, if they are hot or warm, whether they are pre-cooked or not are all examples of conditions that affect GI (https://www.livestrong.com/article/532408-the-glycemic-index-of-baked-potatoes-vs-boiled-potatoes/). A study (1) published in the “Journal of the Diabetic Association” in April 2005 tested the effects of cooking on the glycemic response of North American potatoes and found significant results. Pre-cooking Russet potatoes before boiling lowers their glycemic response, but has no effect on white potatoes. A boiled potato has a lower GI score if eaten cold than hot. The study found that boiled red potatoes eaten cold had a score of 56, but boiled red potatoes eaten hot had a score of 89. A bit peculiar, don´t you think? Thanks for answering my question so thoroughly. Indeed it is strange that temperature should make a difference. Starch is released in boiled water just as pasta. Different from baking potatoes when the starch is still there. Wouldnt eating a baked potatoe with butter and soure cream turn it into medium or even a low Gi becasue the added fat slows sugar absorption?